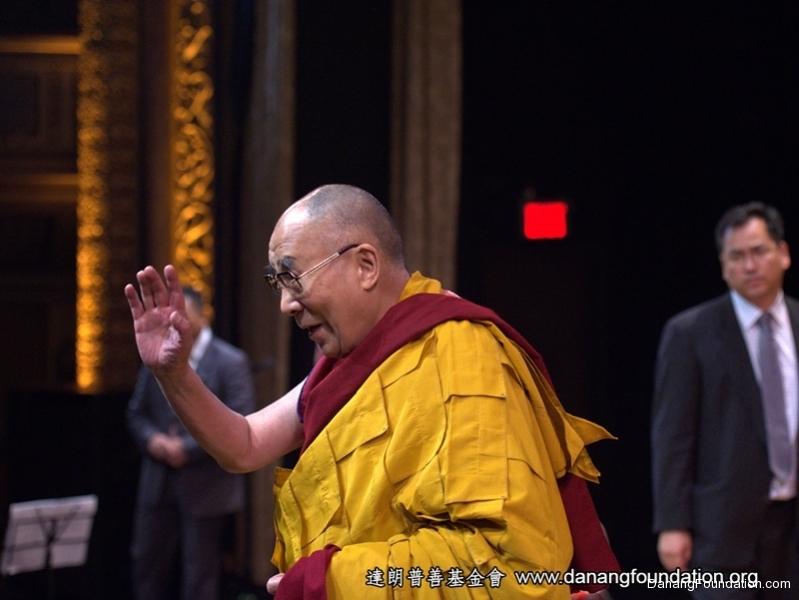 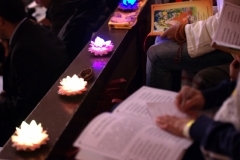 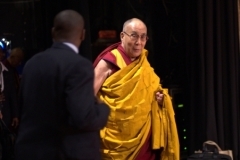 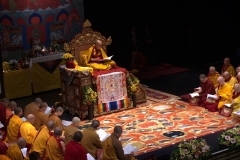 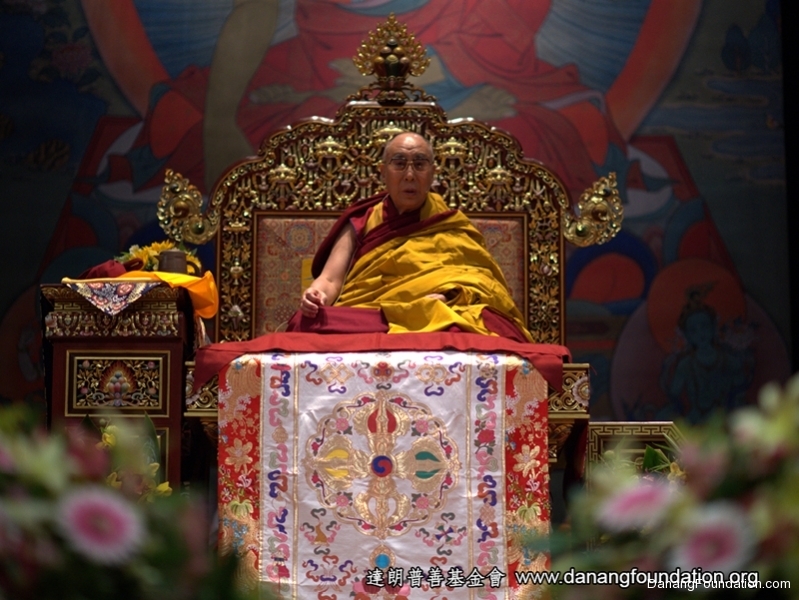 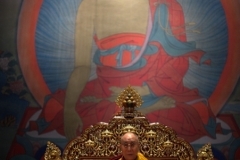 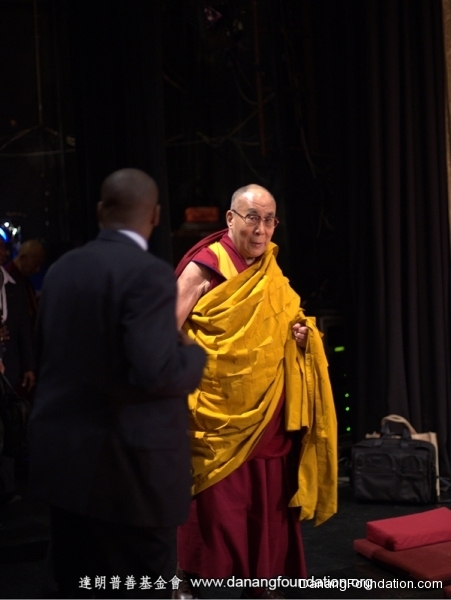 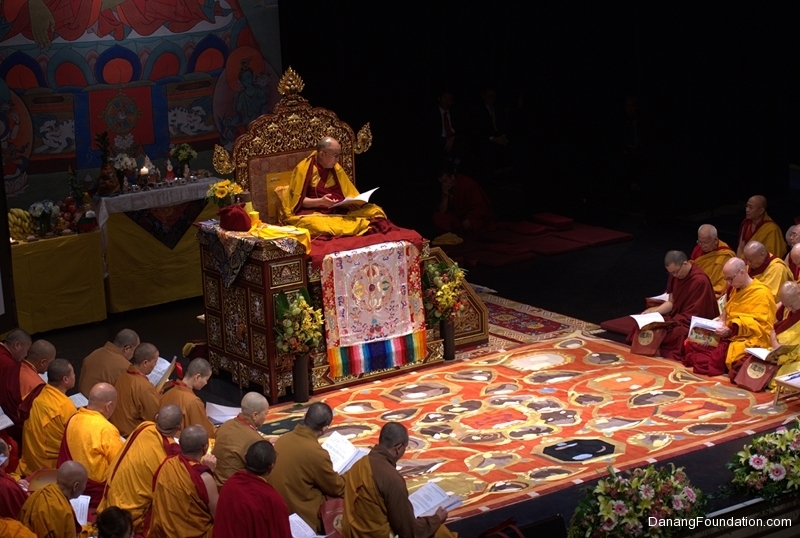 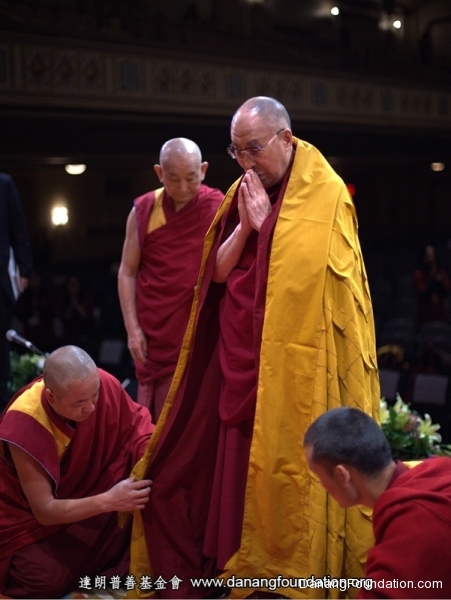 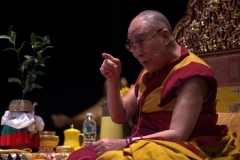 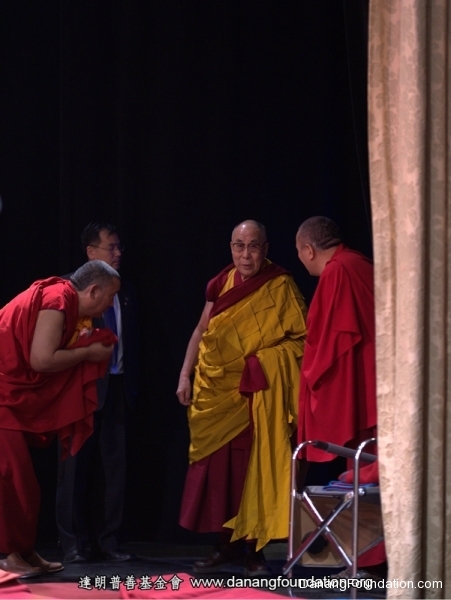 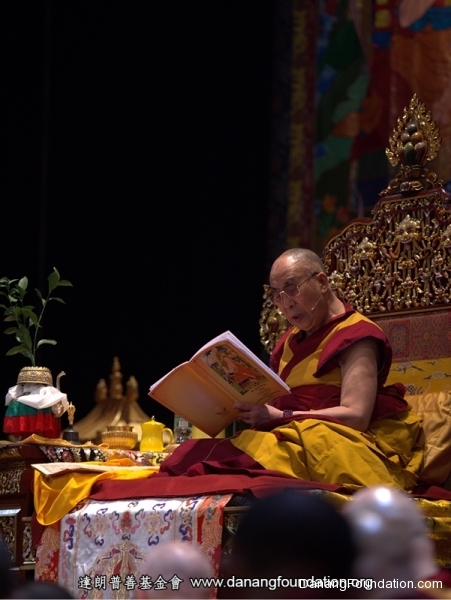 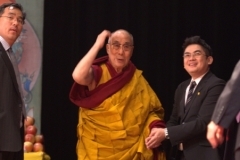 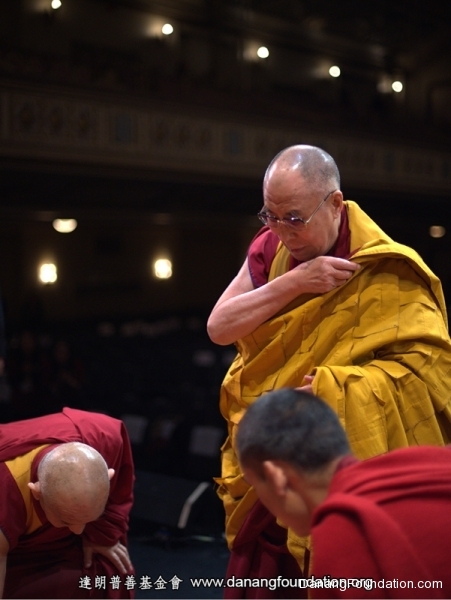 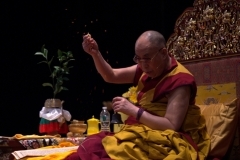 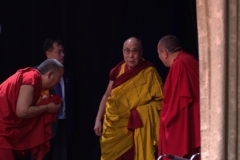 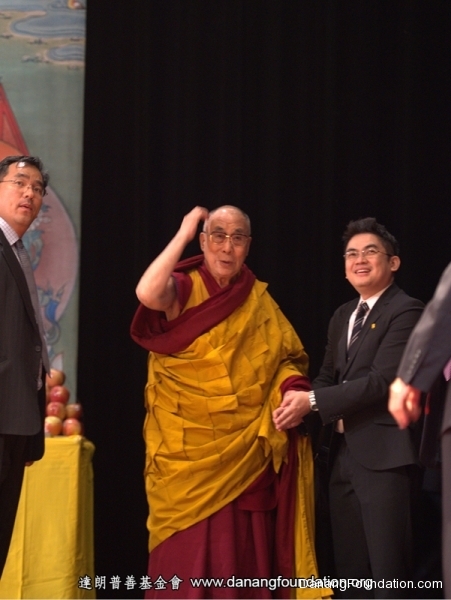 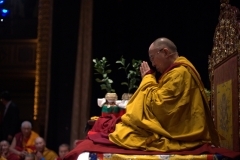 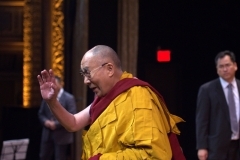 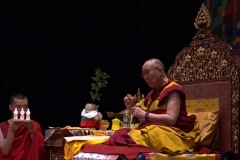 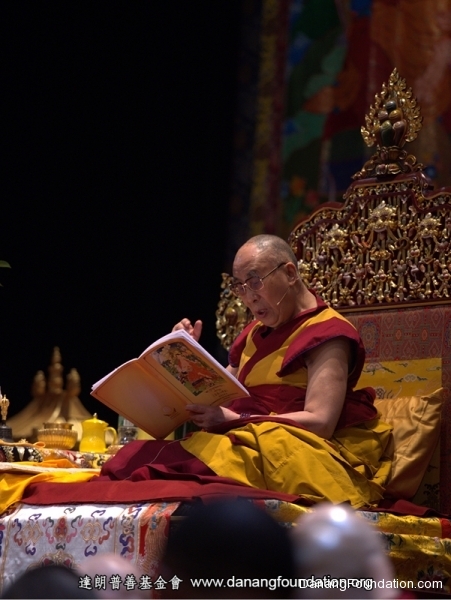 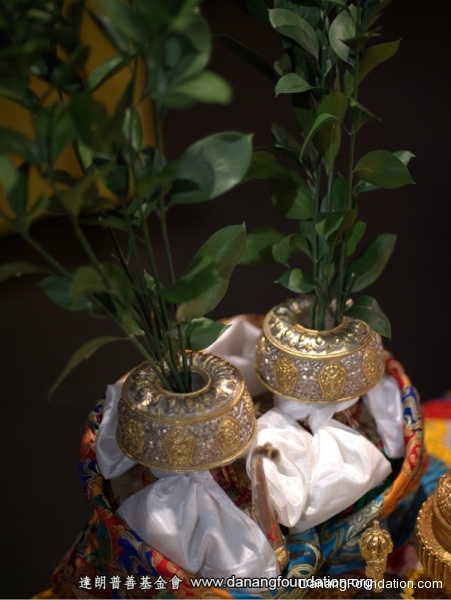 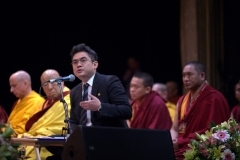 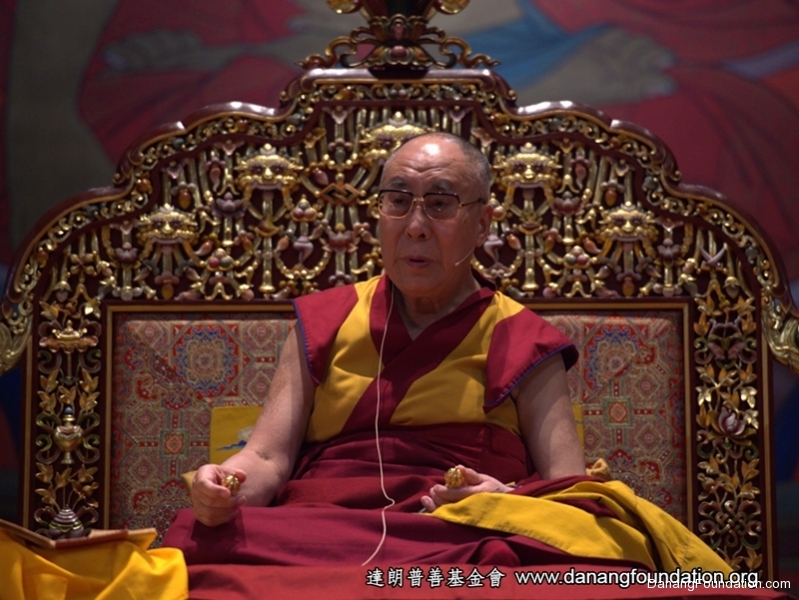 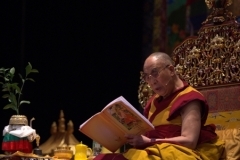 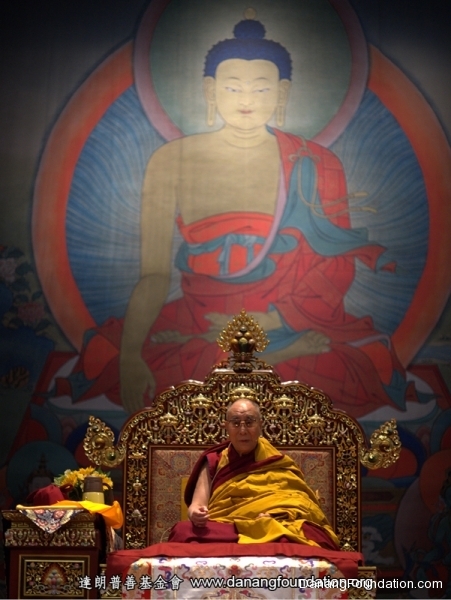 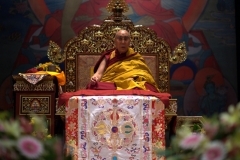 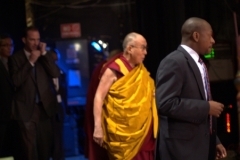 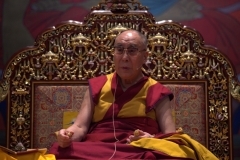 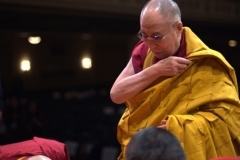 His Holiness the Dalai Lama conferred the Empowerment of Thousand-arm Chenrezig and gave teachings on Nagarjuna’s Commentary on the Awakening Mind (Bodhicittavivarana) to an audience of primarily ethnic Chinese devotees. 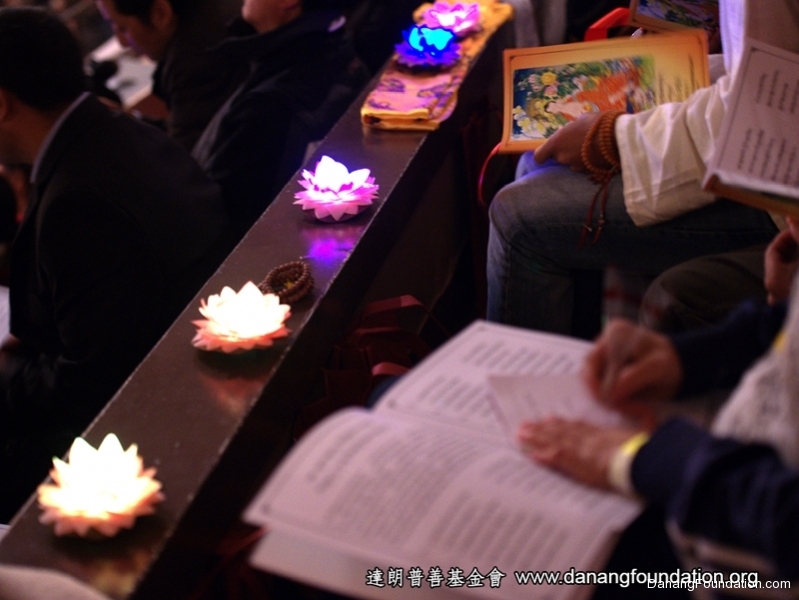 The sessions were conducted with simultaneous translations into Mandarin and English. 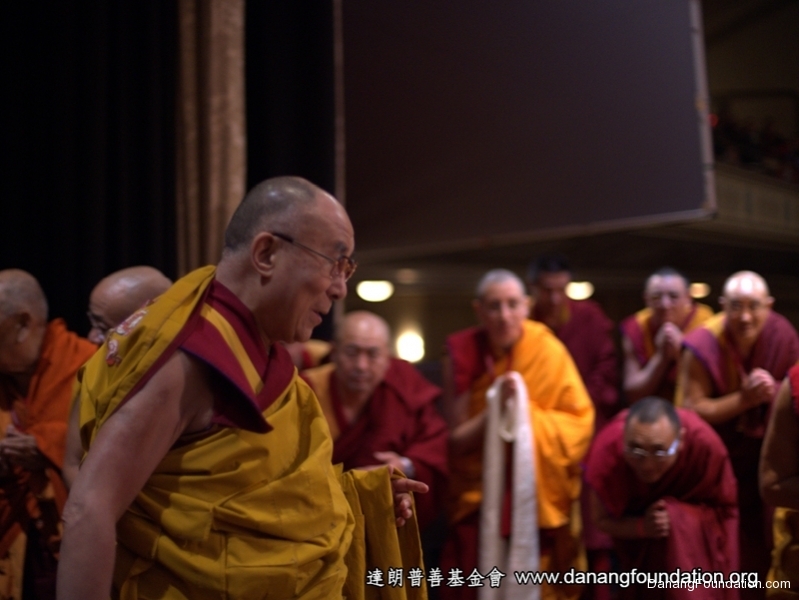 Preparation for this teaching had begun years ago, beginning when the notion to invite His Holiness to grant a teaching was first conceived. 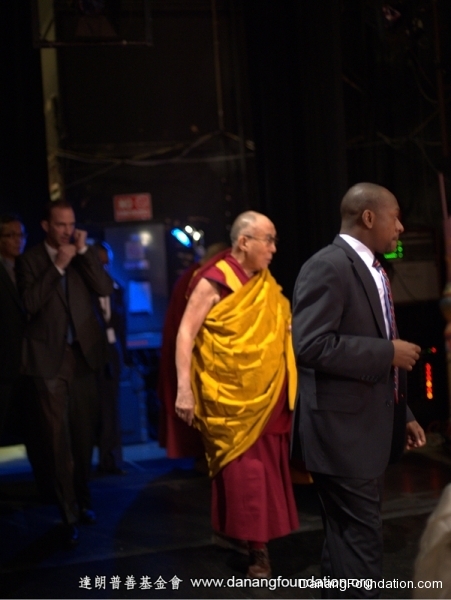 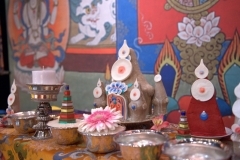 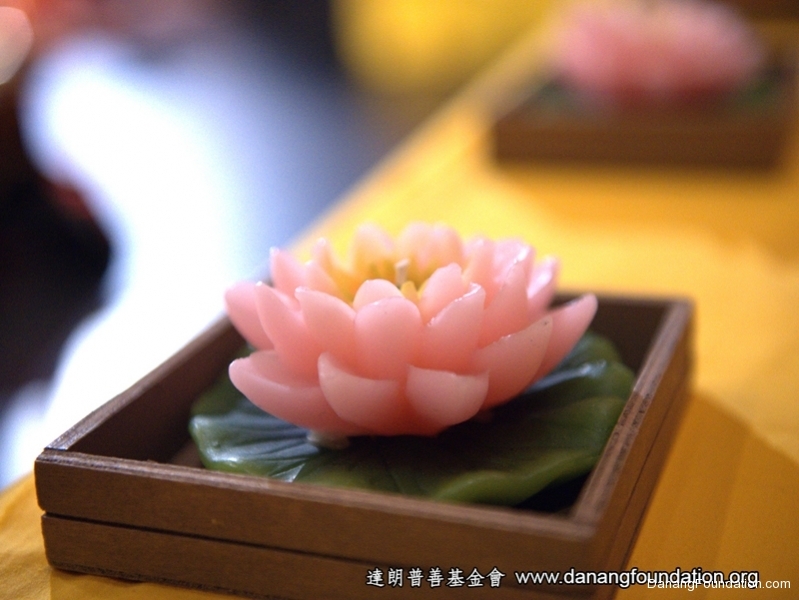 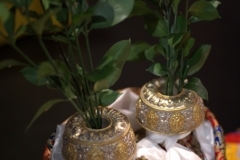 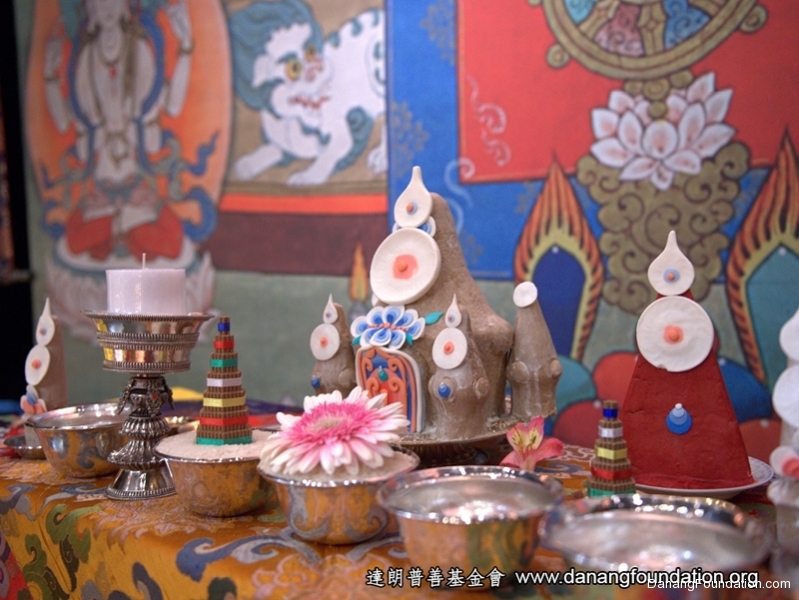 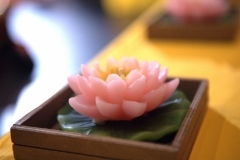 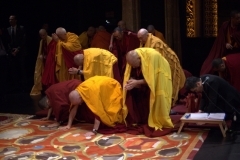 Tsewang Rinpoche said that the merit to gather at such a teaching is the ripening of past-accumulated virtues, and in order to ensure that these virtues continue to flourish in the future, it is necessary to dedicate all the merits and virtues from this teaching for the benefit of all sentient beings. 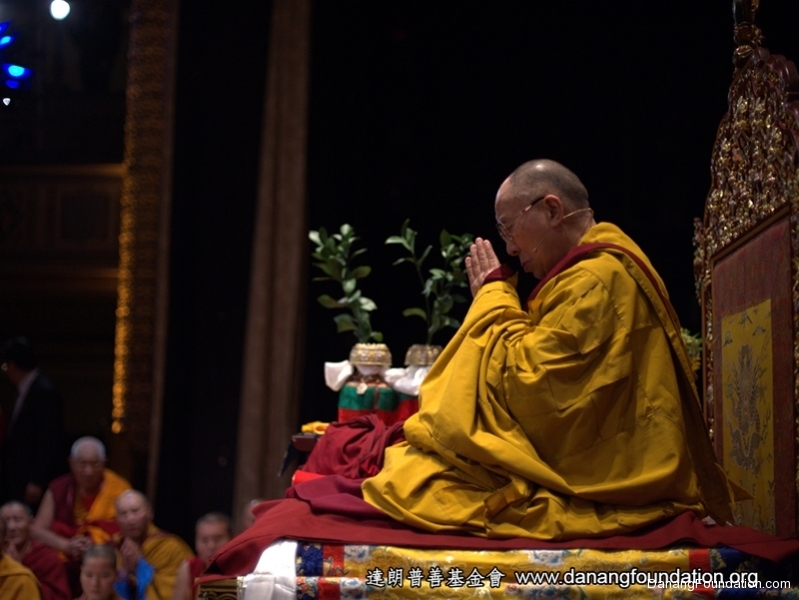 Rinpoche also hopes that in the near future, there will be another opportunity to attend a teaching by His Holiness again. 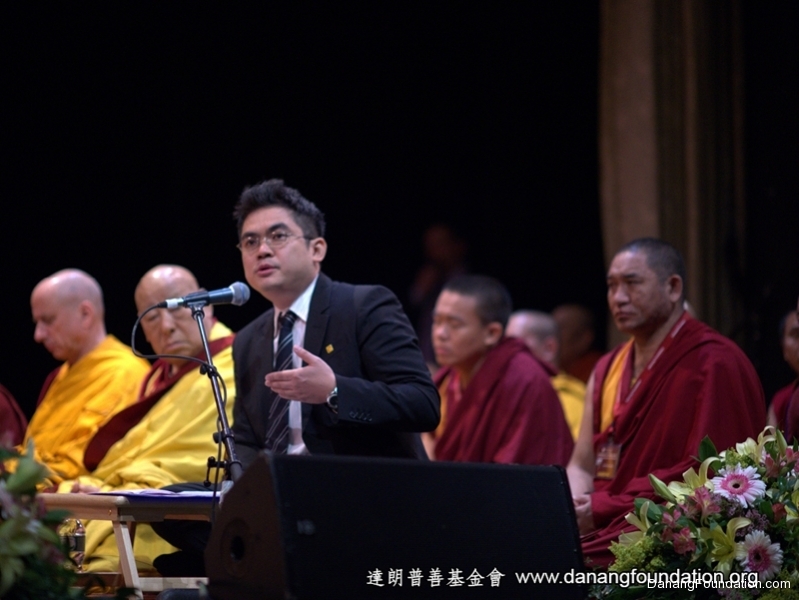 Danang Foundation founder Tsewang Rinpoche thank the volunteers and benefactors who support and sponsorship. 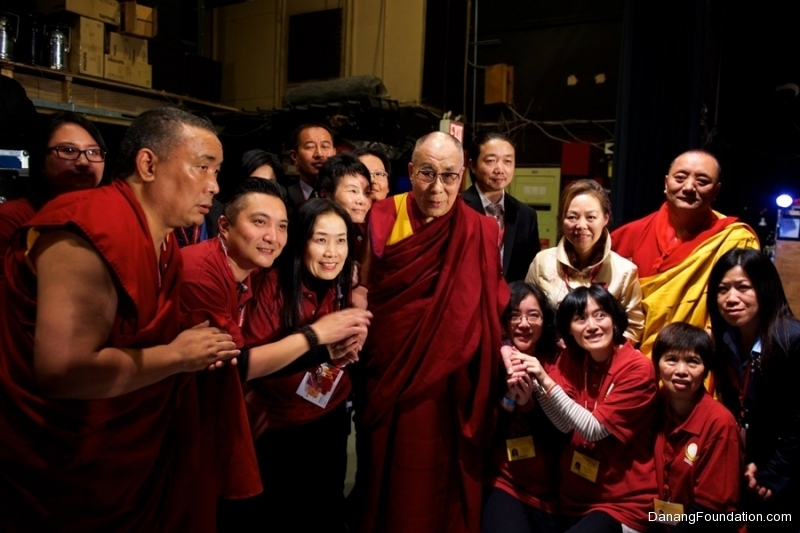 I believe the heart and everything will be back to the community and to be able to pray in the near future, be able to get together with you again, thank you for your participation and prayers of all good luck!